It’s time for Frank to deliver what he promised Raymond Tusk in the last episode: a clean, uncomplicated win that President Walker can talk up in his State of the Union speech. Of course, what might seem simple to Garett Walker is actually the result of a fair bit of political wheeling and dealing but fortunately, that’s a trade Frank practically invented. 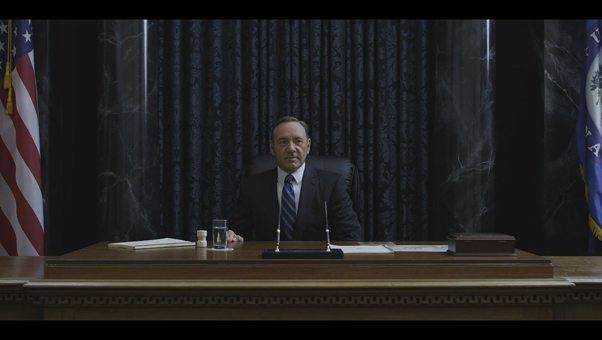 This third episode of season 2 focuses more on the typical manipulative and greasy politics that we’ve come to expect from Underwood and his peers but it still doesn’t feel like the season has gotten moving just yet. Nevertheless, watching Frank dominate Congress both officially and behind the scenes despite his time away is as entertaining as it was in the first season. In the secondary plotlines, Rachel tries to get accustomed to her new life but it is a dauntingly lonely existence until she makes a new friend. 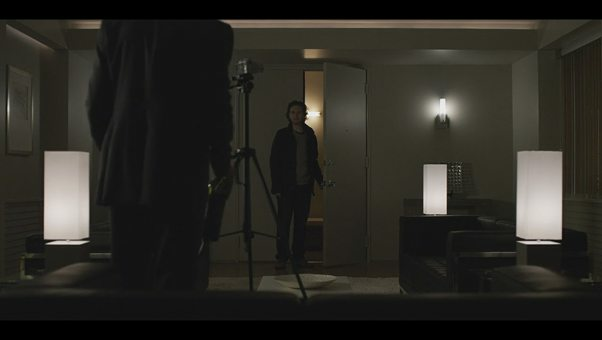 Lucas’ mission to expose the The Great Underwood Conspiracy leads him to the deep web and gets him more intricately involved than he might have originally intended. The biggest failing in Lucas’ plotline is that lacks urgency. We know that Lucas doesn’t have proof and that any of his claims, not matter how plausible, will be dismissed as the rantings of the begrieved. His colleagues and friends will both testify that he has not been himself since Zoe’s death and between that and his lack of evidence, it will be a miracle if anyone takes him seriously. Unfortunately for him, Doug Stamper isn’t one to take chances and has already set his hunting hounds on Lucas’ scent. The use of the deep web is an interest development; the deep web rarely gets coverage in mainstream media but its use here is the very definition of a double edged sword. Yes, the footage that Lucas so desperately craves might exist on the internet somewhere but at the same time, the whole exercise leaves Lucas exceptionally vulnerable. His insistence that an objective truth exists rings hollow when he is so very far from finding it. In Washington D.C, a ceasefire has been declared in the tug-of-war over the President. Frank needs to prove himself to both Walker and Tusk and deliver an agreement that both political parties can live with. Frank has bailed this President out on several occasions already, and each time he does, it gives him more credibility and authority to use as currency. This episode isn’t really about Frank wrangling with Tusk, however. Instead, it focuses on Frank’s return to his old stomping grounds in Congress and prove himself to an irritatingly unconvinced President. Walker’s attitude is only one component of unlikability – his inability to achieve anything without Frank or Raymond beside him is another. It is thoroughly bewildering that a man elected to become the most powerful in the world is so rudimentarily incapable of solving basic political problems. While Frank did flirt dangerously with disaster here, it’s already clear that without Tusk and Underwood, Garrett Walker would probably forget to breathe. And just like that, we find ourselves in an all too familiar situation; things are looking bad for Frank, the political situation is unfavourable, bordering on hostile and yet again, everything Frank has fought for so far hangs in the balance. Far from being stale and repetitive, this sort of situation is a welcome return to what House of Cards does best. Watching Frank go from being Walker’s punching bag to assuming control of the uncooperative Congress is immensely satisfying. It would be amusing how little the actual policies in question matter at this point, if that realization had a little less truth in it. There are several plot points brewing in the background but none that have developed far enough to really comment on. Jackie Sharp has an interesting method of coping with her stress and it will be interesting to see how that becomes relevant as the season progresses but for now, she is surely beginning to wonder if what she’s gained is worth what she is losing. Likewise, Rachel Posner must be wishing very dearly that she had never tried to blackmail Frank Underwood or ever seen the slightest glimpse of Peter Russo. Watching her call her mother was a little heart-breaking knowing how long they’ve been estranged and hearing her mother’s eagerness. Rachel’s relationship with Doug is more than a little troubling though; we know that Doug is many things but ‘nice’ is not really one of them. He isn’t entirely devoid of emotion but at the same time, he seems like a man very capable of cruelty. Between his defensiveness concerning Rachel and her own crushing loneliness, it’s hard to imagine that this particular escapade won’t end in utter disaster.